The other day we listed the Emancipation Proclamation as a bold economic event and not necessarily a bold civil rights event. So here, on the 146th anniversary of the proclamation announcing the Emancipation Proclamation (that&apos;s not a typo; that&apos;s government), let&apos;s take a look at why we said that. The biggest misconception about the proclamation is that it "freed the slaves." In fact, it only freed slaves who were laboring in the Confederacy, and furthermore, it freed slaves only in those areas that the Union didn&apos;t control. That on the 1st day of January, A. D. 1863, all persons held as slaves within any State or designated part of State the people whereof shall then be in rebellion against the United States shall be then, thenceforward, and forever free; and the executive government of the United States, including the military and naval authority thereof, will recognize and maintain the freedom of such persons and will do no act or acts to repress such persons, or any of them, in any efforts they may make for their actual freedom. Slaves in states that didn&apos;t break away were not covered, so slaves in Delaware, Maryland, Kentucky and Missouri were not freed; nor were slaves in areas that the Union had control of, such as what would become West Virginia and the conquered Tennessee. And the Executive will in due time recommend that all citizens of the United States who shall have remained loyal thereto throughout the rebellion shall, upon the restoration the constitutional relation between the United States and their respective States and people, if that relation shall have been suspended or disturbed, be compensated for all losses by acts of the United States, including the loss of slaves. And the entire decision was pitched as a war measure, not an appeal to a higher authority. 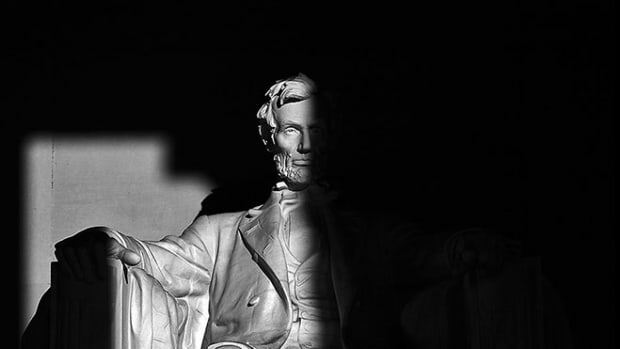 In outlining his authority to emancipate rebels&apos; slaves, Lincoln cited the Confiscation Act passed by Congress earlier in the year, which stated that in beating down the insurrection it was OK "to seize and confiscate the property of rebels." In that sense, the Union might just as soon confiscate someone&apos;s mules or plow as free his or her slaves. Of course, having made our point, it&apos;s obvious that the proclamation nonetheless was a civil rights moment, one of the reasons Abraham Lincoln waited until after the "victory" at Antietam on Sept. 17 before issuing a document that all realized changed the war from a civil war to a moral crusade. What happens when you and a Lincoln expert stand next to the Lincoln Memorial and ask questions of visiting tourists?